One hundred retired FBI agents — including two deputy directors — aren’t giving up their fight to try and exonerate and free convicted ex-Boston agent John J. Connolly Jr., whose relationships with the Boston mob landed him in big trouble. The Los Angeles’s Times Richard Serrano reported that the agents, known as Former FBI Agents for Justice For John, are pushing the Florida state courts to overturn his conviction for second-degree murder after having had no luck overturning his federal conviction for racketeering and obstruction of justice. 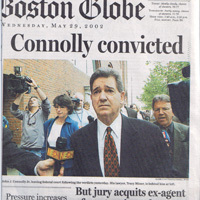 Connolly Jr., now 70, was convicted of murder in Florida state court after allegedly tipping off Boston mobster James “Whitey” Bulger and Stephen Flemmi that World Jai Alai President John Callahan was likely to implicate them in a murder, the Times reported. Hitman John Martorano killed Callahan in 1982. Connolly’s supporters have pointed to the great disparity in sentences between Connolly and Martorano, who confessed to killing 20 people and served 12 years, the Times reported. 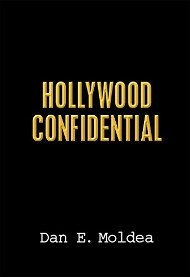 The Los Angeles Times reports that Connolly will leave federal prison next month after 9 years, but will go right to state prison in Florida to begin serving a 40 year sentence for the murder. They say the lengthy sentence amounts to a death sentence. Other ex-agents pushing for Connolly include FBI deputy directors Weldon L. Kennedy and Bruce J. Gebhardt, the Times reported. Posted: 5/9/11 at 9:41 AM under FBI, News Story.